Suitable for light-weight applications, such as shower curtains and closet enclosures. Offered in 9.8′, 13.1′ and 16.4′ track lengths. A pre-packaged kit contains everything required for a simple, CEILING mount project. Mounting hardware interval. Max. every 12” in field, 2” from edges. Try to install all hardware with even spacing to achieve better appearance. Load capacity: 1.1 pound per roller. 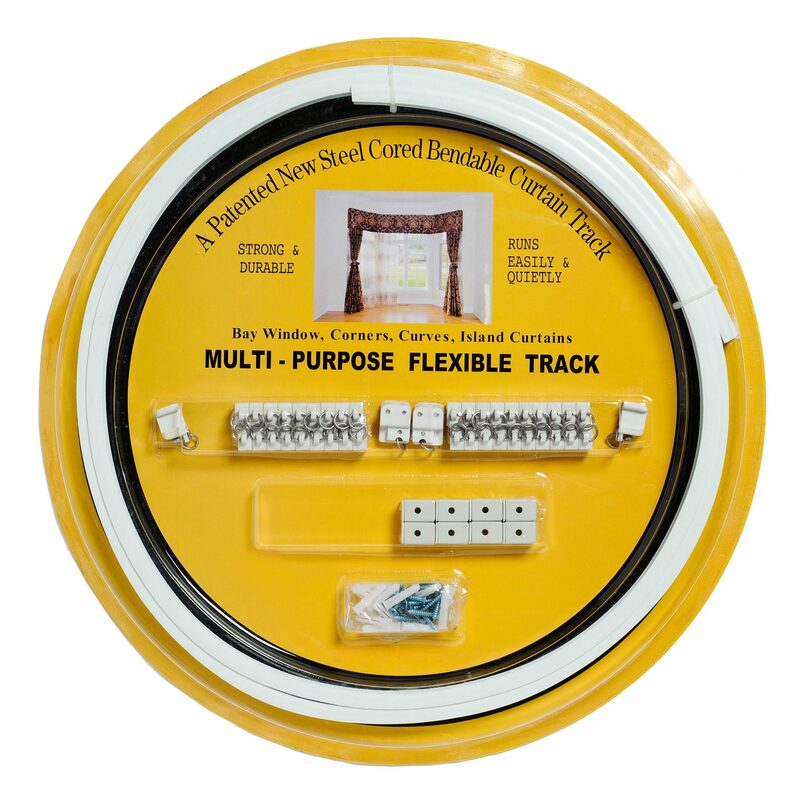 9.8′ track, 38 rollers, 16 ceiling mount cartridges, 2 end caps, 1 pair magnet catches and 16 screws and plastic anchors. – For a WALL mount or T-bar application, you can order wall mount cartridges/brackets or T-bar clamps for use with this kit. Shop under “Required Components” for corresponding hardware. – If you need other optional items to supplement this kit, shop under “Optional Accessories” before checking out. – For international orders, a shipping surcharge will be applied. Please call or email us to place the order.